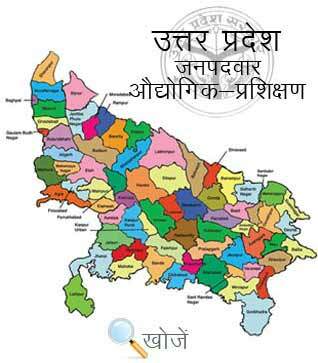 Lalitpur is the 45th biggest city in northern state Uttar Pradesh and is the administrative headquarters of Lalitpur District. The city is famous worldwide for both Hindus and Jains Temples like Devgarh, Raghunathji( BadaMandir), Pavagiri, Ata Mandir, KshetrapalJi etc. The city has such some of the best Private and Government Colleges, Polytechnics, Study Centers, English Medium Schools etc. imparting higher and quality education to the students. Colleges are affiliated to the Uttar Pradesh Rajarshi Tandon Open University, Allahabad and Bundelkhand University, Jhansi. To understand the need and requirement of technical skills in Country, there are various Industrial Training Institutes and Industrial Training Centers opened to provide technical as well as non-technical education to the students. Industrial Training Centers constituted under Directorate General of Employment and Training (DGET) Ministry of Skill Development and Entrepreneurship that offers training in different Trades. At present, the city has two Government ITI’s and one Private ITI. The prerequisite to enroll in various courses is Matriculation with the minimum age of 14 years. In the state of Uttar Pradesh, Vyavasayik Pareeksha Parishad (www.vppup.in) is responsible for conducting the entrance examination for admission to various courses in ITI’s. Students can also visit online education portal www.upiti.in as well. It is a comprehensive database of information to the students regarding admission, results, online downloading application forms, important notifications etc. to save their valuable time.